Sea lions, hippos, penguins, tigers and cheetahs: my 20-month-old daughter, Evelyn oohed and aahed at them all as we drove around West Midlands Safari Park. But nothing had her giggling like when the seagulls flew by the car. “We should have just taken her to the beach,” I joked with my husband, David, 34. “You’re right. She’s more interested in the birds than the lions,” he said. But on the way out of the park we were given a free ticket to come again. A couple of weeks later, at my home in Dudley, West Midlands, my sister Beth Rees, 26, and I were lost for what to do. I was rooting in my bag for some lippy, when I found the extra ticket that was almost due to expire. “I know we only went a few days ago, but how about we go to the Safari Park in Bewdley, Worcestershire again?” I said, holding up the free ticket. We loaded Evelyn’s change bag, buggy, baby snacks and milk into the Mitsubishi Warrior and headed off. In the summer months the park is ridiculously busy. But on a nice quiet day in February there was barely a car to be seen. We could have been on a real safari in the middle of Africa. The park is split up into two sections, the safari park, and the rest, which includes a tiny-tots theme park. We decided to drive around the safari first, before grabbing some lunch at the park’s café. “For close encounters you will never forget…” I read to Evelyn from the map of the park. Evelyn giggled with excitement, though I half expected she’d seen a sparrow out the window. We passed a sign that said ‘African Plains’. As soon as we entered, we were faced with the rhino paddock. We drove up over the rise, and there, in the middle of the road, were three gigantic grey rhinos, blocking the way. The rhinos were just milling about in the road. They were huge, and dwarfed our car, which was a pretty big 4X4. “They’re so close,” Beth said. I’d read on the map that white rhinos can weigh about the same as a car at two tonnes each. And there were three of them. 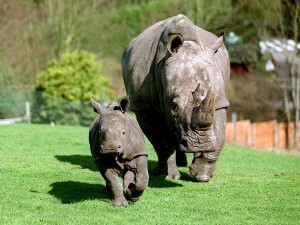 Rhinos had never been my favourite animal. My mum used to tell me stories about when she was charged by one when she went on safari as a kid. It was one of those harmless little horror stories you get told as a child, but it had always stuck with me. So much so, that every time we’d been to a safari park, I always rushed through the rhino enclosure. Not so lucky this time, I thought to myself. A ranger’s car was parked off to one side of the enclosure with a ranger in the driver’s seat. Normally, they herd the rhinos away from the road, so not to bock the traffic, but these three rhinos – six tons of muscle, I thought to myself – were allowed to roam where they liked. Another thing I’d learned from mum was that rhinos have really poor eye-sight. What they mistake for a rock or another animal could easily be a car. “Do you think that ranger knows where they are?” Beth said. It didn’t look like it from where we were parked. By this time, about eight cars were backed up behind us. “Looks like we’ll just have to hang on until they clear out of the way, hey Evelyn?” I said, turning round in my seat. Evelyn was in her own little world. 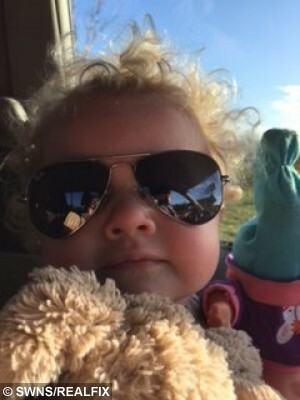 She had her aviator shades on and had her little teddy, and was sitting on Beth’s lap staring out of the window and pointing at the birds. Distracted, I took my eyes of the road, and watched her chuckling. If someone beeped their horn, I didn’t hear it. Suddenly, out of nowhere, the car shuddered, and the whole rear end was lifted off the ground. Beth and I screamed in shock. I looked in my wing mirror and saw a huge rhino brushing up against the rear of the car. It pounded its horn in to my brake lights. It thrashed against the bumper and lifted the car off the ground again. I was terrified and scared it might pierce the back panel and smash the window and try to get inside the car. Rhinos were on the road in front of us, just metres away. Another was trying to mount the car from behind. Beth and looked at each other not knowing what to do. By the look on Beth’s face there was nothing we could do. We couldn’t sound the horn in case it spooked the rhinos in front. Nor could we drive off the road as there were signs everywhere telling us to stick to the path. At this point, the rhino at the back of us was really getting involved with my brake lights. All we could hear was the sound of glass and plastic and metal crunching. The ranger must have seen us and raced up the hill to herd the rhinos in front of us. Evelyn had stopped chuckling by this point. As soon as I spotted an opening, in the road, I stepped on the gas, determined to get out of there. As I started to drive I saw the rhino behind me give chase, charging at us. I was absolutely petrified. It was just like that scene from Jurassic Park with the T-Rex as it chases the jeep through the jungle. He kept gaining on us as I watched him in my wing mirror, getting closer and closer. As it chased us across the park, Evelyn’s was starting to get scared. She could see the fear and panic on my own face. I saw a cattle grid and put my foot down. It was the only way out. I thought. Safely over the cattle grid, I didn’t stop until we were well out of the safari section, and near to the main centre of the park. When I knew we were safe, I turned to Beth. “What the hell was that?” I said. When I got out and saw the damage done to the car, I was fuming. I expected there to be some damage, and that there’s always a risk when you go to a safari park, but this was ridiculous. 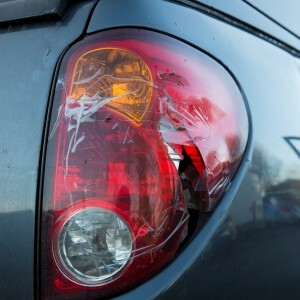 I thought there would be a scratch, but the whole rear right side was destroyed, and would definitely need a new panel. I grabbed a member of staff and showed him what had happened. He didn’t appear to know what to do, so he radioed through to find out the procedure. His attitude was: this kind of thing happens all the time. Why are you so upset? “I’ve just been attacked by a two tonne Asian rhino,” I reminded him. All they did was hand me a form to fill in without offering an apology or the least bit of compassion. It ended up not being the rhino that rattled me, but the way the park handled it. It was just shoddy customer service. and how stressed I looked, she burst into tears. Evelyn absolutely adored animals, but this trip really left a bitter taste in my mouth. 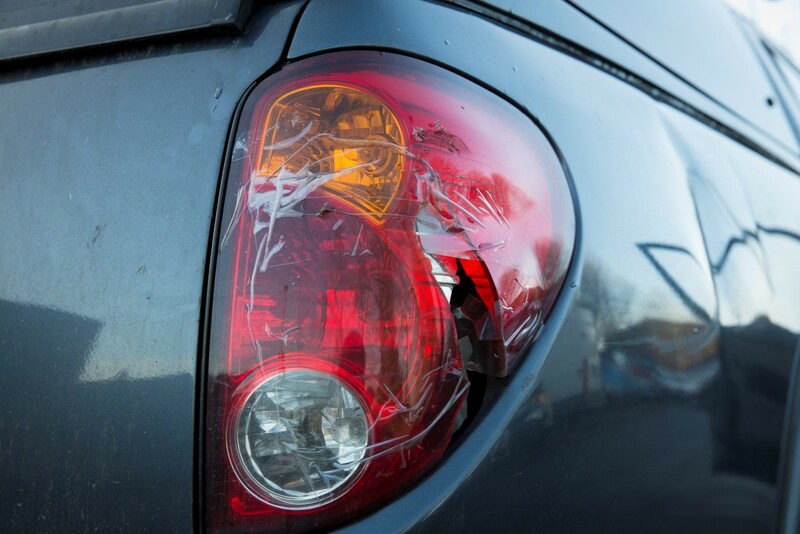 Not only that, but the damage to the car is in excess of £500. Next time we really will just take her to the beach to see the seagulls. They should have barriers installed to prevent the animals wandering in front of vehicles. 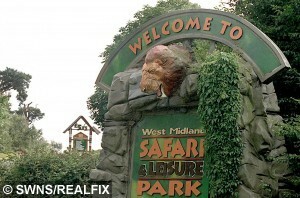 West midlands Safari park apologised for the incident and handed Ms Liggins a goodwill voucher of £250. 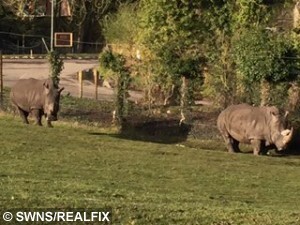 A spokesman added: ‘The highlight of a visit to West Midland Safari Park is to drive amongst free-roaming animals and to get the chance to feed some of them. ‘In addition, we also offer a guided minibus tour for a small extra charge. ‘We welcome many, many thousands of visitors during the course of a year without mishap and, therefore, we are very sorry that wasn’t so on this particular occasion’. « Previous post The remarkable five-month old baby who is already potty trained - and trying to talk!